Set of matches personally owned by Frank Sinatra, made for the Christmas season to perhaps give as gifts. 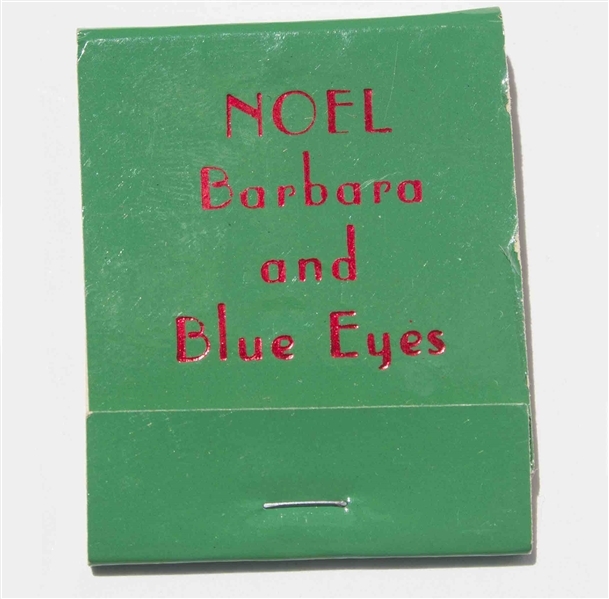 Matches are printed on the flap in red against a green background, ''NOEL / Barbara and Blue Eyes''. Unused set retain all matches inside. Near fine condition.